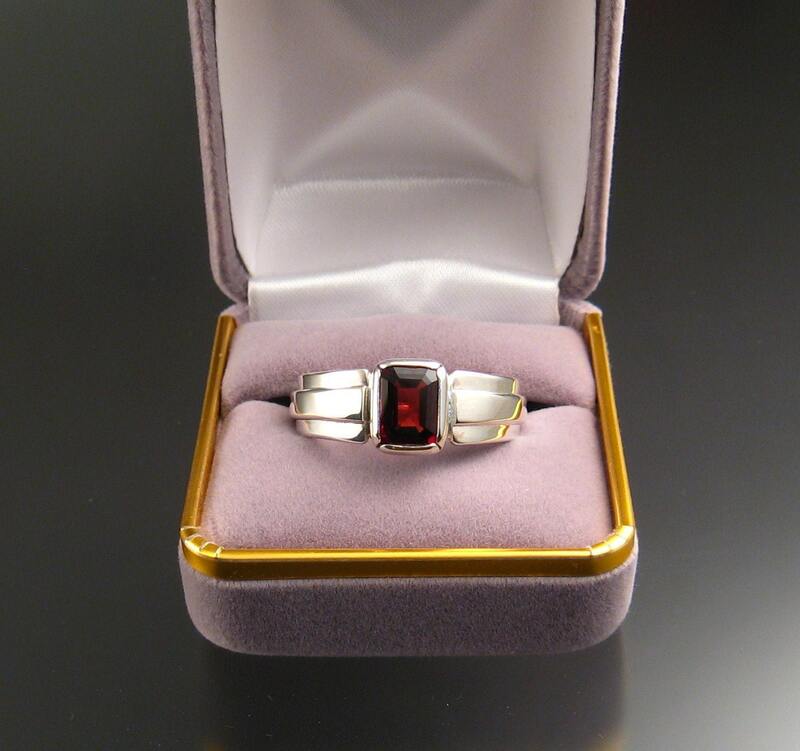 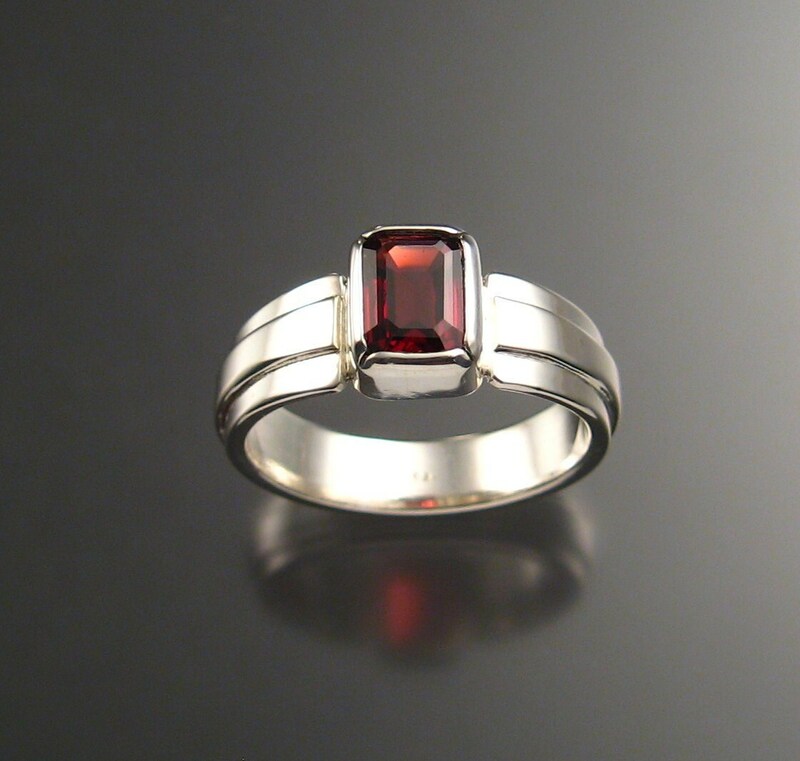 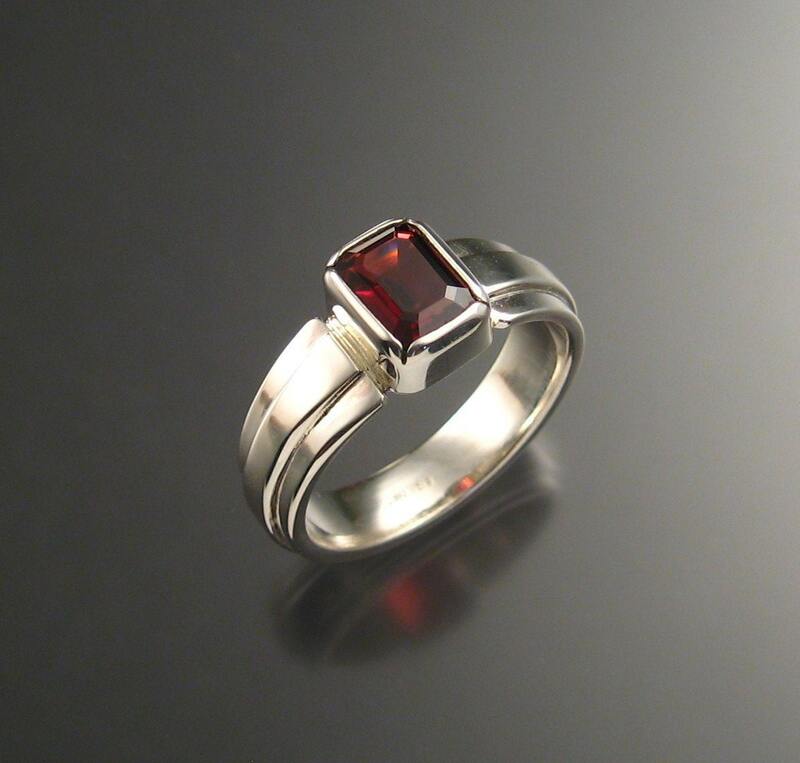 7x9mm natural Garnet is bezel-set with wide tapered band and raised center. 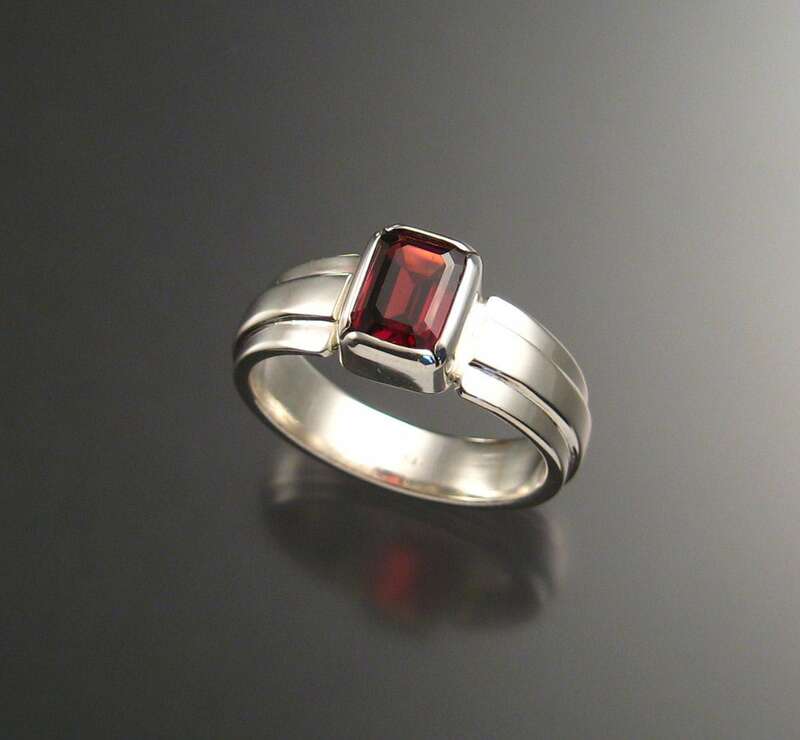 These are beautifully cut, clean RED stones. 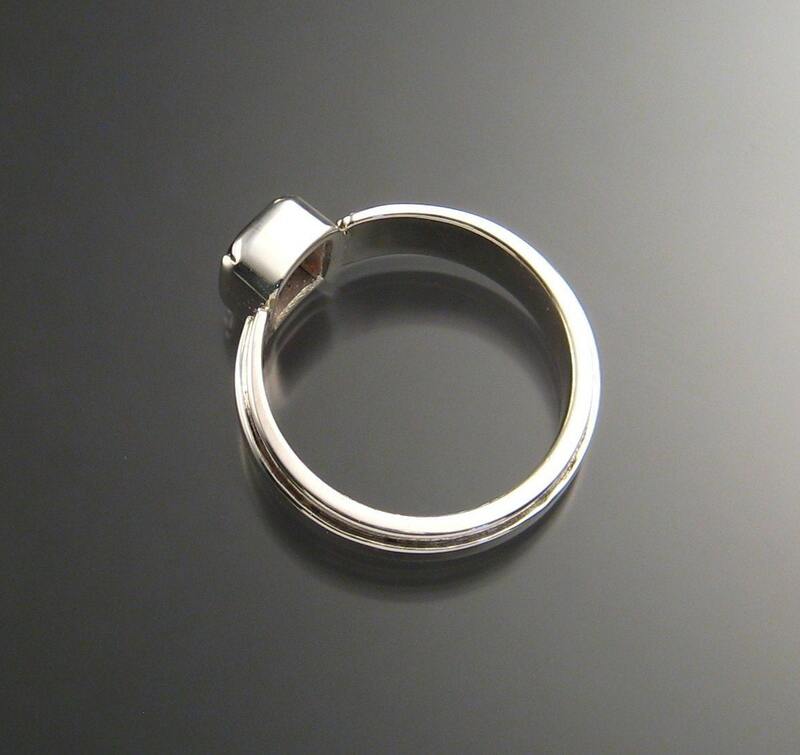 I can set them in sizes 5 through 13.